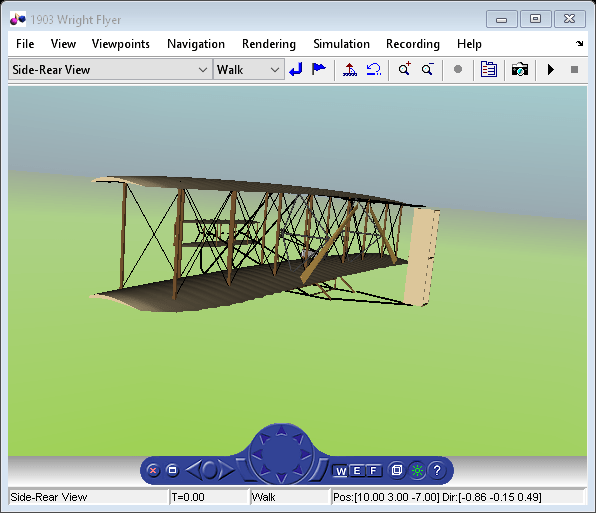 How to model the Wright Brother's 1903 Flyer modeled in Simulink®, and Aerospace Blockset™ software. This model simulates the longitudinal motion of the Flyer in response to the pitch commands of a simulated pilot. 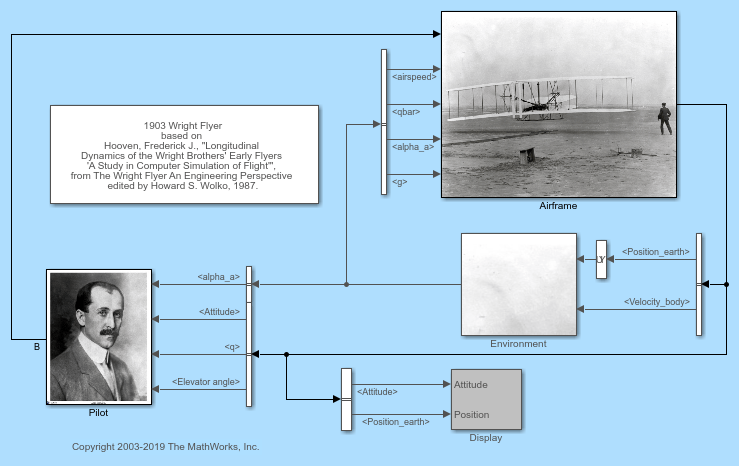 How to model the Wright Brother's 1903 Flyer modeled in Simulink®, Aerospace Blockset™ and Simulink® 3D Animation™ software. This model simulates the longitudinal motion of the Flyer in response to the pitch commands of a simulated pilot.